This is the story of how the “God is Dead” rationalism of the Victorian era has been slowly subverted by the re-introduction of religious thought into cosmology by scientists themselves. Whether consciously or unconsciously, the the big bang as a concept resembles, as Ratcliffe puts it, the "fingerprint of a creator's initial act". Religious imagery has entered everywhere into the terminology of the discipline - the "fingers of God", the "pancakes of God", the "God particle", the "moment of creation." First penned by a priest, launched by a Quaker, then praised by a Pope, the spiritual iconography is hard to ignore. 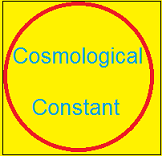 Although this timeline was first put together as an examination of the dubious political and religious biases hijacking scientific progress, it now has evolved into a detailed list of the many papers in peer-reviewed journals that currently contradict Concordance cosmology. As such, I welcome readers to use this as reference for setting the record straight on some of the controversial issues facing astrophysics today. (1895) H.G. Wells publishes "The Time Machine." The book was an instant best-seller at the time. 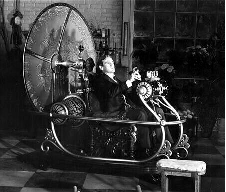 The story is generally given credit for popularizing the idea of time travel. As often occurs in recent history, science mimics fiction. Whether Einstein was influenced by the ideas of Wells is not clear, but it is plausible to think that the general public, following exposure to this best-seller, was primed for acceptance of a scientific theory based on the idea of a dimension of time. (1905) Einstein introduces the idea of time rather than the speed of light as a variable in space. The ether, not detectable due to the Lorentz transformations, becomes superfluous in Einstein's view. In doing so, he undermines Maxwell's physical model of space and the physical basis for the electromagnetic wave. The constancy of the speed of light is made a postulate of the theory, but no explanation of how or why is given. The theory also conjures a series of paradoxes regarding time. Einstein provides the first deconstruction of the rationalist Maxwellian models of space followed by the British school of Fitzgerald, Lodge and Kelvin. 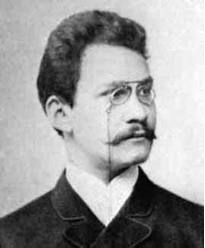 (1907) Minkowski 4D spacetime is proposed as an alternative to 3D space. He states: "Henceforth space by itself, and time by itself, are doomed to fade away into mere shadows, and only a kind of union of the two will preserve and independent reality." The co-existence of the past, present and future is a requirement (substantivalism, perderantism). Free will no longer exists - the future is already written, so mortals are condemned to simply acting out the events of a preordained universe. He subsequently dies two years later. (1913) George Sagnac publishes his paper on the rotating interferometer, demonstrating that the speed of light is not constant for a rotating observer. The Sagnac effect is ignored by Einstein. 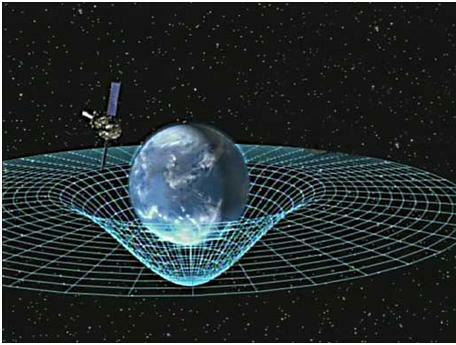 (1916) General Relativity - introduces Einstein's geometric concept of gravity with Minkowski's "absolute worlds" hypothesis grafted to it. 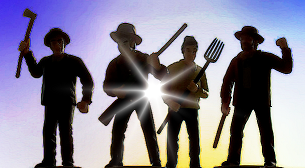 This new theory of the medium (Substantivalism) is not in space so much as it is in time. A medium for electromagnetic waves is missing, the only waves conceived of in the fabric of space-time are gravitational waves. (1917) Einstein introduces his cosmological constant in his paper "Cosmological Considerations in the General Theory of Relativity" as a means of explaining the stability of the universe against the attractive force of gravity. Einstein initially sees the universe as being a steady state one, and needs a cosmological constant to explain it, since his general theory of relativity was incompatible with a steady-state model. 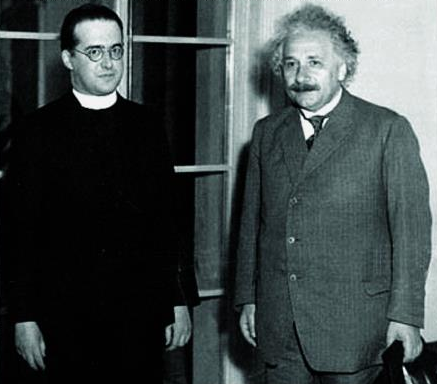 (1927) Georges Lemaître - an ordained catholic priest and colleague of Eddington, proposes the Primeval Atom theory, which he refers to as "the Cosmic Egg exploding at the moment of the creation". 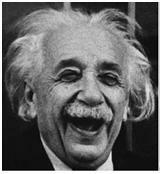 Einstein says of it: "Your math is correct, but your physics is abominable." 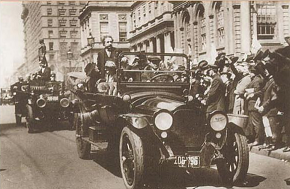 However, Einstein later warmed to the idea, and became a proponent and supporter of Lemaître. The theory is renamed the Big Bang theory by Fred Hoyle. 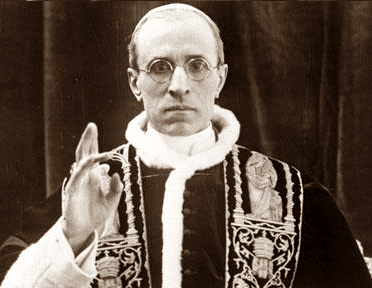 Lemaître's argument is that an expanding universe is an increasing disorder of the universe, in keeping with the law of entropy. This is despite the obvious evidence to the contrary that all celestial objects and all of life are self-ordering, an-entropic structures experiencing periodic renewal. stable order in events, or make any consistent sense of experience." -Eddington. "It is not at all certain that the large red shifts in the spectra are to be interpreted as a Doppler effect, but for convenience they are expressed in terms of velocity and referred to as apparent velocities." 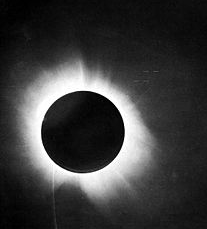 Hubble felt that the data was in better agreement with light having a loss of energy to the intervening medium proportional to the distance it travels through space by what he called "a new principle of nature" (Hubble 1937). This was because if it were Doppler the light should appear to be less bright (due to a decrease in photon flux) than if it were a loss of energy. Such a brightness correction did not fit the direct proportionality to distance data. 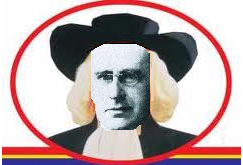 (1931-4) Authur Eddington uses his influence to launch Lemaitre's Cosmic Egg theory into mainstream scientific discourse. 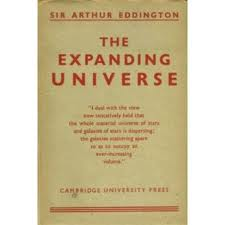 He publishes his book "The Expanding Universe" in 1933. 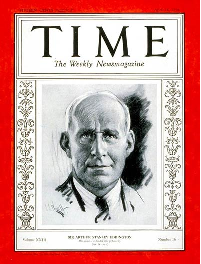 Eddington is featured on the cover of Time Magazine in 1934. The inscription under his name reads " His universe expanded into popularity." (1931) Einstein abandons his cosmological constant theory. He calls it his "greatest blunder." Despite this, many modern cosmologists now advocate reviving this fudge factor term to correct for the mis-predictions of the expanding universe theory. (1932) Jan Oort measured the motions of nearby stars in our Milky Way relative to the galactic plane. He found that the mass of the plane must be more than the mass of the material that can be seen. This is sometimes claimed to be the first suggestion of dark matter. (1933) Fritz Zwicky infers the possibility of dark matter - he calculated the average mass of galaxies within the Coma cluster, and obtained a value 160x that expected from their luminosity. He was for a long time sceptical of Big Bang. 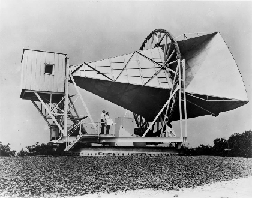 (1941) Andrew McKellar observes an interstellar temperature of 2.3 degrees K - one of the first detections of the CMB. Gamow is apparently aware of this discovery before he writes his 1948 paper, and thereby cannot claim that he predicted something since it was already known (his claim that astrophysicists had found a "nickel" exactly where he had lost one." ) McKellar correctly predicted the temperature of interstellar space based solely on the abundances of various interstellar gases, without resorting to a big bang hypothesis. (1946) Gamow estimates the big bang relic radiation to be 50 deg. K. Saying that it is in reasonable agreement with the actual temperature of interstellar space (as believed at the time). 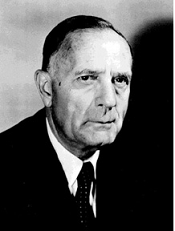 (1948-1949) Alpher and Herman - predicts relic radiation of ~ 5 deg. K, then revise this level back to 28 deg. 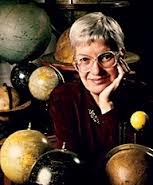 K.
(1950's) Vera Rubin discovers that bodies orbiting around the outskirts of galaxies appear to be moving at the same speed as bodies orbiting near the center. (1950's) - hardening of attitudes with respect to scientific freedom. It is reported that steady state universe theory is discouraged by the president of the Royal Society. "true science discovers God in an ever-increasing degree." (1957) Sir Fred Hoyle, William Fowler, and Geoffrey Burbidge publish the 104 page paper "Synthesis of the elements in Stars" .The paper is regarded as one of the seminal papers of the 20th century and receives praise from all quarters of the scientific community. Although William Fowler later goes on to receive the nobel prize in 1983 for his role in this work, Hoyle and Burbridge are excluded, with many of their colleagues believing their exclusion is because of their resistance to the Big Bang paradigm. (1959) Fritz Zwiky characterizes the supercluster in Virgo. The cluster becomes known as "the fingers of God", a series of lines of galaxies that are pointing in the direction of our solar system - leading to the "Copernican problem." The effect demonstates that applying the Hubble distance relation to certain galaxy clusters can lead to large artifacts, due to the apparent pecular motions of members of the cluster. Another related effect became known as the "pancakes of God." (1963) Alan Sandage and Thomas Matthews identify Quasi-Stellar Objects (QSOs,hereafter quasars) in 1963. They were found to have redshifts significantly higher than other objects seen on the sky. Their implied remoteness created difficulties for physical theory - they would be impossibly bright. (1964) Dicke, Peebles, and Wilkinson predict a relic radiation of 40 deg. 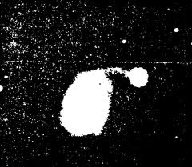 K.
(1964-5) Penzias and Wilson detect the cosmic microwave background radiation, and find it to be around 3K, at odds with most of the predictions by Big Bang advocates. However, the discovery is immediately siezed upon as evidence of a relic radiation from the proported big bang. 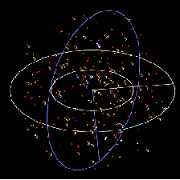 (1966) Halton Arp publishes his atlas of peculiar galaxies, which show evidence of high redshift objects physically connected to low redshift objects. 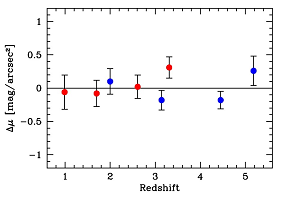 These observation undermines the redshift = velocity argument underpinning the big bang theory. 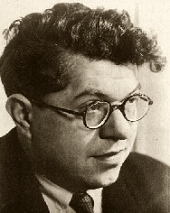 (1972) Fred Hoyle in his 1972 Russell Prize lecture to the American Astronomical Society openly backs Arp's findings. It is entitled "The Developing Crisis in Astronomy." Arp reports that after the lecture Martin Schwarzschild blurts out at them "You are both crazy!" The lecture is then blocked from publication by the society. 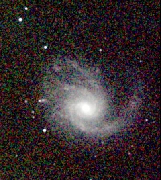 (1970's) it was discovered in Vera Rubin's study of the rotational speed of gas in galaxies that the total visible mass (from the stars and gas) does not properly account for the speed of the rotating gas. Geoffrey Burbidge in Cosmology Quest reported that her observation time at Kitt Peak was nearly cancelled since the oversight committee refused to believe that her observations were real. Burbidge quotes Hoyle as saying: "anytime you point a new telescope at the sky now you are only going to find what you already know is up there." Not surprisingly, this galaxy rotation problem is now explained by the presence of large quantities of unseen dark matter. 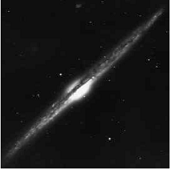 (1978) Richard Muller publishes "The Cosmic Background Radiation and the New Aether Drift." in Scientific American. This casting of the CMBr as an apparent absolute reference frame for cosmic motion encourages a new generation of researches to search for an optically detectable aether of space. 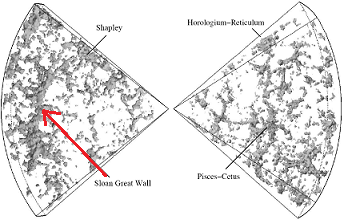 (1989) Margaret Geller and John Huchra discover the great wall – a sheet of galaxies more than 500 million light years long and 200 million light years wide, but only 15 million light years thick. The existence of such monumental structures in space lead to questions about whether they could be formed in the time since the supposed big bang, since such structures would require 100 billion years to form. 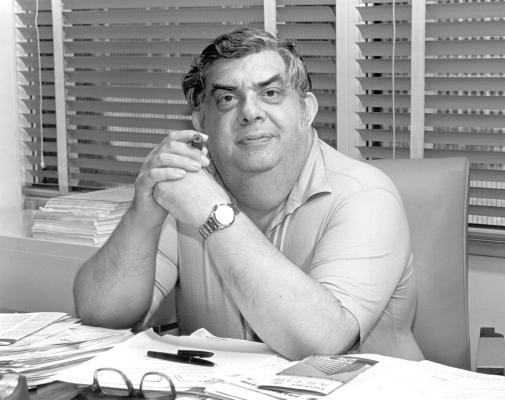 (1991) Eric Lerner publishes "The Big Bang Never Happened," including steady-state universe model. (1992) The Big Bang is claimed proved by minute anisotropies in the Cosmic Microwave Background radiation in different directions in space, based on COBE data. However, this is contradicted by the smoothness dilemma (also called the large scale smoothness problem). 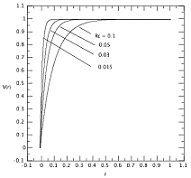 The CMB temperature in different directions only fluctuates by one part in 100,000, contradicting the Friedmann-Robertson-Walker cosmology model. George Smoot apparently commented at the press conference that seeing the fluctuations was like "seeing the face of God." (2003) The 2dF Galaxy Redshift Survey is made public, revealing the large scale structure of one section of the universe. 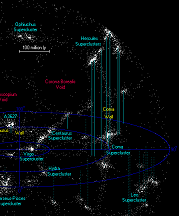 (2005) Analysis of VIRGOHI21, an extended region of hydrogen in the Virgo cluster, is claimed to be a "dark galaxy" , i.e. a high concentration of dark matter in a region of space largely devoid of stars. It is predicted to have a mass to light ratio of 500:1. Analysis of the hydrogen gas cloud suggests that it is rotating and may likely be a tidal tail of NGC 4254. Since these observations are based solely on the lensing of light, it might be equally plausible to assume that starlight is being lensed by the rapidly rotating hydrogen cloud, rather than by gravity. It is well known that rotating, heated gas and/or plasma can form a density gradient which serves as graded index lens. This might explain the similar observation with Abell 520 (2012) where gravitational lensing was claimed to have been detected in the turbulent gas cloud between two colliding galaxies. Interstellar medium (ISM) is known to be able to disperse, refract and even Faraday rotate electromagnetic waves passing through it. 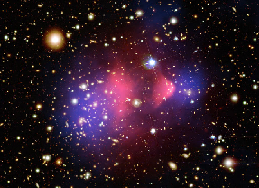 (2006) Menlo Park researchers claim to have observed dark matter directly in galaxy clusters 3 billion light years away, using gravitational lensing. In this case the dark matter is said to have separated from the real matter, thereby it is found in isolation. This contradicts the theory of dark matter, since it is supposed to be found associated with real matter. The presumption of dark matter lensing in the bullet cluster contradicts the cold dark matter model since the required infall velocity is too high. (2007) Kenneth Nicholson publishes a new method using Newton's law of gravitation to explain how the existing mass distribution of a galaxy without dark matter is sufficient to account for the rotation velocity profile. 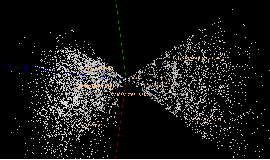 The method divides the galaxy into a series of rings subdivided into constant density segments. Each segment will cause an acceleration on a test mass at a given radius. The total acceleration at a given radius by the interactions of the mass in the rings with their appropriate densities is then calculated. The method shows that galactic rotation naturally deviates from the virial theorem and flat the rotation profiles come out spontaneously without further assumptions such as dark matter or MOND. (2007) Astronomer Hilton Ratcliffe notes the psychological attraction of such a convergence of science, spirit and faith. [ref] “The idea of an infinite universe just wriggling around aimlessly is an anathema to the collective human psyche,” he writes in The Virtue of Heresy. “In the face of burgeoning atheism in scientific philosophy, man uttered a sigh of relief and clutched to his bosom a universal pattern that looked suspiciously like it might just be divine!” Mentally, the idea of a big bang may be easily morphed into the fingerprint of a creator’s initial act. (2007) The "axis of evil" problem with the cosmic microwave background (CMB) becomes a widespread topic of discussion. It is found that the complex pattern of cold and warm spots in the CMB closely line up with the ecliptic and thus our solar system. Since the CMB radiation should not align with any unique observer in the universe, this calls into serious question whether the CMB is truly relic radiation from the big bang. Since the alignment is so strong, some have suggested that it could be due to a cloud of dust in the solar system masquerading as a cosmological CMB. 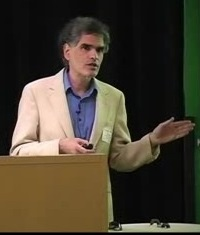 (2009) a paper by David Crawford is published arguing that observations of type 1a supernovae out to redshift z= 1.6 are not consistent with the expected time dilation of an expanding universe model. Crawford criticises earlier papers that had reached this conclusion. When peak magnitude is computed using concordance cosmology there is a strong bias that results in weaker supernovae being selected at higher redshifts, he argues, and when total energy is used instead, it is observed as constant as a function of redshift, showing that without any fitted parameters the total energy is independent of redshift. He states " there is no experimental evidence for departures that have been ascribed to dark energy. " The model is consistent with a static cosmology and doesn't require unusual evolution of supernovae production rates at redshifts greater than z=0.5. 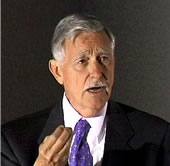 (2010) M.R.S. Hawkins publishes the paper " On time dilation in quasar light objects." Hawkins finds that quasars do not exhibit the expected time dilation with redshift distance that is expected by the big bang theory - in fact quasars presumed to be 6 billion light years away pulse at the same rates as ones 10 billion away. This is powerful evidence that quasars are not at their redshift distances as was always argued by Hoyle, Arp and Burbidge. Although Hawkins tries to downplay this contradiction with the big bang model, he does say " there is surprising little direct evidence that the universe is expanding." 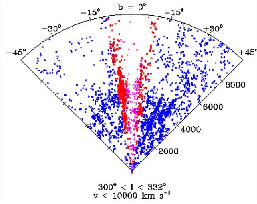 (2010) Gallo and Feng publish " Galactic Rotation Described by a Thin-Disk Gravitational Model without Dark Matter." In concurrence with Nicholson, the method uses conventional Newtonian dynamics without resorting to dark matter or MOND. They point out that the Keplerian rotation curve that works with a centralized mass doesn't work for galaxies where the mass distribution is anisotropic and far from spherically symmetric. They cite numerous authors going back to 1995 who have already approached the problem the same way. 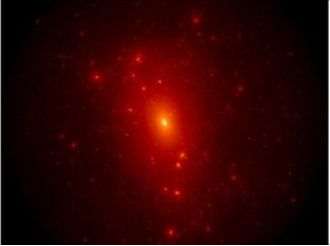 (2011) Dwarf galaxy models suggest dark matter theory may be wrong, according to a BBC news article. These galaxies are thought to be made up mostly of cold dark matter, but models using the lambda CDM theory do not match up with what is observed. The "disturbing developments" as they call them may only be overcome by replacing the never detected cold dark matter with a new ( imaginary?) substance called "warm dark matter." (2012) Dark matter tendrils claimed to be detected, again using gravitational lensing studies of a filament of gas between Abell 222 and Abell 223. The filament is parallel to our direction of sight, amplifying the lensing. However, as explained earlier, rotating hot gas is a very effective lens for light since it forms a graded refractive index, so nothing can be proved about the existence of dark matter before other potential sources of interstellar lensing have been properly excluded. (2012) A Dark matter core nearly devoid of galaxies is claimed to have been discovered in Abell 520, located 2.4 billion light years away. This result presents a challenge to the theory of dark matter, since galaxies are supposed to be anchored to the invisible substance. A second paper however contradicts this claim. The uncertainty call into question the reliability of implied mass claims based on light lensing from such extreme distances in space, which may be caused by much more mundane effects. Abell 520 also contradicts the cold dark matter model. (2012) Galaxy MACS0647-JD discovered, at 13.3 billion years old, making the supposed 13.7 billion year age of the universe questionable since the galaxy would have had only 400 million years to form. However, in the Lambda-CDM model the entire process of deciding the distance to a galaxy is "fixed" to the size of the universe predicted by the big bang theory. In this model, every increasing redshifts lead to logarithmically smaller distance increments, such that at infinite redshift Z the universe is 13.7 billion years old. So no galaxy can be found with an age higher than the preordained 13.7 billion light years, ever! 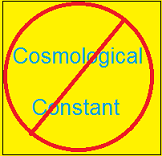 Lambda-CDM includes a cosmological constant. (2012) A Chilean study of the local solar neighbourhood is performed looking for evidence of dark matter by examining the motions of 400 nearby stars up to 13,000 light years away. Zero evidence is found that their motions are effected by any presumed dark matter. In a second study, a Russian researcher looked at eleven thousand nearby galaxies to see what dark matter might be found around our galaxy, and found far less than predicted. (2012) Microwave background temperature is expected to increase with redshift in order to support the notion that the universe is expanding. Although initial studies appeared to support this idea, more recent work by Sato et.al using higher resolution analysis found CMBr temperature at redshift = 0.89 to be between 1.1 and 2.5K, well below the expected 5.14K. They identify contamination bias occurring in lower resolution measurements that call into question the previous positive results of earlier papers. (2014) Lerner, Falomo and Scarpa publish a paper using the Tolman test for surface brightness of near and far galaxies based on redshift data. They conclude that the observations are consistent with a static Euclidean model of the universe. Further analysis here explains that in a Big Bang universe, distant galaxies should not only be dimmer but also bigger, since the light from these objects should have expanded with space, further dimming their light, which is not what was found. (2015) Melia and Lopez-Corredoira perform a cosmological test based on a statistical analysis of galaxy distributions. This is based on the changing ratio of angular to spatial/redshift size of (presumed) spherically-symmetric source distributions with distance and is called the Alcock-Paczynski test. They also incorporate Baryonic Acoustic Oscillation (BAO) peaks to overcome distortions due to gravitational effects. The analysis of BAO peaks from SDSS-III/BOSS-DR11 was found to strongly disfavour the current concordance (ACDM) model, and favoured either a steady-state/tired light model of the universe, or an expanding Rh=ct universe with no inflation. (2016) A new paper describes how spectral distortions of the Cosmic Microwave Background (CMB) should be visible based upon the current models of the early universe. These would be deviations from the purely planckian spectrum caused by injections of energy at various times during the presumed evolution of the universe. The author describes how although the expectation of these distortions is widely held and discussed in the literature, all attempts to find it in the CMB data have failed. (2017) The oldset known star in the universe, HD140283, also known as the Methuselah star, is now reported by Wikipedia to be 14.46 billion years old. This is 700 million years older than the big bang itself! The error uncertainty is large enough that there is a small chance, just barely, that it could fit into the age of the presumed big bang universe. 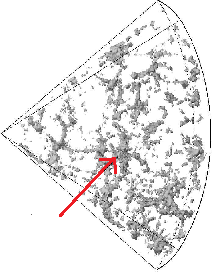 However, wikipedia notes that this star, due to its metal content, would have to be a second generation star, so another star must have gone through its entire lifespan prior to this one to provide the elements it currently has, which would put the age of this two generation process well outside of the plausible limits of the 13.799 billion years. (2017) Is dark matter finally dead? A Scientific American article in November of this year called "Dark Matter Hunt Fails to Find the Elusive Particles" describes how a series of high profile and immensly expensive experimental investigations have all failed to find any evidence of dark matter. These include the XENON1T experiment at Gran Sasso National Laboratory in Italy, the PandaX experiment in China, NASA's Fermi telescope project, as well as the efforts at CERN. All have come up negative.